The focus of this year's World Mental Health Day included the changing world and the impact this can have on us. As civil servants I know we are all familiar with change, particularly in the current climate, with a number of us involved in work relating to exiting the EU. Change can bring positive outcomes, such as personal growth and new opportunities. However, change outside our control can also sometimes make us feel anxious and stressed. For situations like these, whether at work or elsewhere, we should never underestimate the value of showing concern and care for each other. 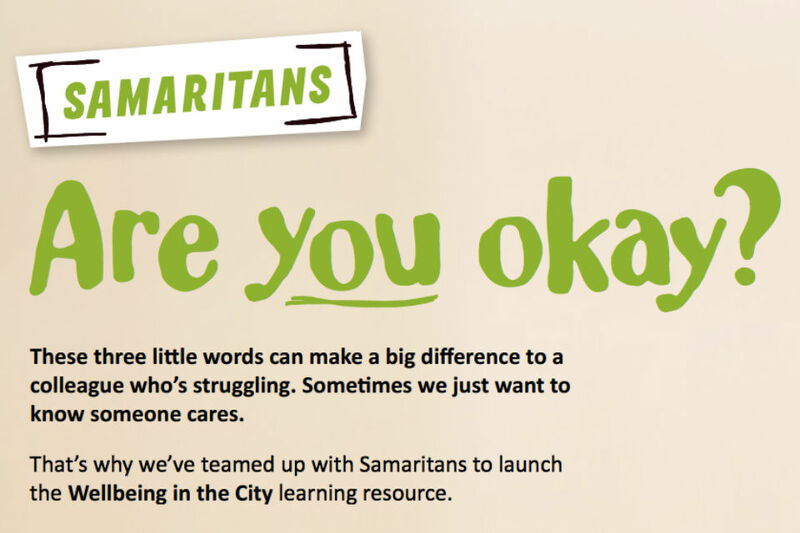 If you notice someone behaving differently, then do take the time to check in to see if they are OK.
To assist in enhancing our listening skills, I am delighted that we have worked with the Samaritans to launch their Wellbeing in the City digital pack. This is a set of interactive videos and information that provides tips on how to have sensitive conversations and how to develop active listening skills. These are skills that can be used across our home and work life on a daily basis, as well as in more complex sensitive situations. The Wellbeing toolkit (60 minutes): an interactive set of videos and online resources that can be taken at once or broken down into bite-size modules. This will help individuals start a conversation, recognise signs of emotional distress, and look after their own wellbeing. 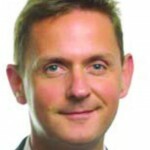 Videos include tips from Ruth Sutherland (CEO, Samaritans) and Professor Cary Cooper (President, CIPD). The Active Listening toolkit (25 minutes): a wealth of resources, including an interactive video to 'have a go' and practise your new skills. 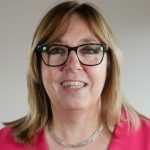 “It’s fantastic to see the Civil Service taking the emotional health of its employees so seriously. 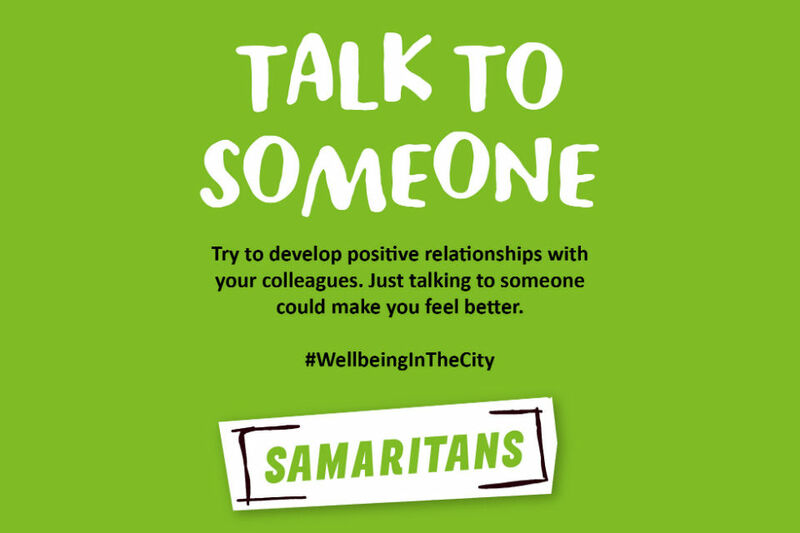 By launching Wellbeing in the City, Civil Service staff will benefit from learning Samaritans’ core listening skills and gaining the confidence to approach someone who is struggling. When people feel listened to, it can save lives. Our aim is to help people who are struggling, before they reach crisis point. Giving Civil Service staff wellbeing and listening skills creates a network of support, so no one feels they have to cope with difficult thoughts or feelings alone. The Wellbeing in the City digital pack complements and supports training packages available on Civil Service Learning such as Mental Health at Work and Wellbeing, Resilience and Stress. In the Civil Service, a range of support is available, ranging from our network of over 2,250 Mental Health First Aiders (or equivalent) to our Employee Assistance Programmes (or equivalent). I hope we are all okay!!!! It is excellent that the Civil Service is doing something about mental health awareness and mental health in general. I would add that everyone already has well-being and listening skills, but developing these is an excellent way to invest your time. The other thing I would add is that investing in your own well-being is the best way to help others too. - Worry, Stress and Anxiety: How to Resolve it by Jamie Smart. Thank you for your positive comment and for sharing the links above! Thank you Jonathan Jones for your continued support in your role as the Civil Service Health and Wellbeing Champion. I certainly like the sound of your latest initiative to link up with the Samaritans with a view to developing active listening skills. Certainly as a Mental Health First Aider, one of the key skills of the role is to be available to listen to what the other person is saying. In many instance, I have found that this helped the other person to regain their thoughts and composure. One on-going concern is that people with mental health issues can end up on restoring efficiency simply for being ill. Line managers no longer have the ability to discount some absences, for example for someone who is dealing with a long-term mental health problem, which means people are made more anxious and fearful of taking time off to get well. This seems to be a real gap in the policy approach. Surely there needs to be some flexibility so that people dealing with these long-term issues don't have to worry about their future simply because they need to take time off? It is potentially the case that people are struggling into work, fearful of taking time off, and making themselves worse in the process.